In this Apache Hadoop tutorial you will learn Hadoop from the basics to pursue a big data Hadoop job role. Through this tutorial you will know the Hadoop architecture, its main components like HDFS, MapReduce, HBase, Hive, Pig, Sqoop, Flume, Impala, Zookeeper and more. You will also learn Hadoop installation, how to create a multi-node Hadoop cluster and deploy it successfully. Learn Big Data Hadoop from Intellipaat Hadoop training and fast-track your career. Apache Hadoop is a Big Data ecosystem consisting of open source components that essentially change the way large datasets are analyzed, stored, transferred and processed. Contrasting to traditional distributed processing systems, Hadoop facilitates multiple kinds of analytic workloads on same datasets at the same time. HDFS is designed specially to give high throughput instead of low latency. The most widely and frequently used framework to manage massive data across a number of computing platforms and servers in every industry, Hadoop is rocketing ahead in enterprises. It lets organizations store files that are bigger than what you can store on a specific node or server. More importantly, Hadoop is not just a storage platform, it is one of the most optimized and efficient computational frameworks for big data analytics. The right Hadoop training helps you understand the real world scenarios of working with Big Data. This Hadoop tutorial is an excellent guide for students and professionals to gain expertise in Hadoop technology and its related components. With the aim of serving larger audiences worldwide, the tutorial is designed for Hadoop Developers, Administrators, Analysts and Testers on this most commonly applied Big Data framework. 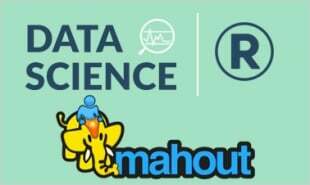 Right from Installation to application benefits to future scope, the tutorial provides explanatory aspects of how learners can make the most efficient use of Hadoop and its ecosystem. It also gives insights into many of Hadoop libraries and packages that are not known to many Big data Analysts and Architects. 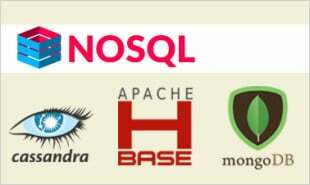 Together with, several significant and advanced big data platforms like MapReduce, YARN, HBase, Impala, ETL Connectivity, Multi-Node Cluster setup, advanced Oozie, advanced Flume, advanced Hue and Zookeeper are also explained extensively via real-time examples and scenarios, in this learning package. For many such outstanding technological-serving benefits, Hadoop adoption is expediting. Since the number of business organizations embracing Hadoop technology to contest on data analytics, increase customer traffic and improve overall business operations is growing at a rapid rate, the respective number of jobs and demand for expert Hadoop Professionals is increasing at an ever-faster pace. More and more number of individuals are looking forward to mastering their Hadoop skills through Hadoop online training that could prepare them for various Cloudera Hadoop Certifications like CCAH and CCDH. Get to know more about Your Career in Big Data and Hadoop that can help you grow in your career. 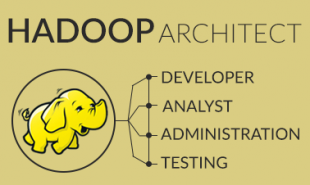 Become Hadoop Certified in 85 hrs. If you find this tutorial helpful, we would suggest you browse through our Big Data Hadoop training.After finishing this tutorial, you can see yourself moderately proficient in Hadoop ecosystem and related mechanisms. You could then better know about the concepts so much so that you can confidently explain them to peer groups and will give quality answers to many of Hadoop questions asked by seniors or experts. Entry-level programmers and working professionals in Java, Python, C++, eager to learn the latest Big Data technology. Before starting with this Hadoop tutorial, it is advised to have prior programming language experience in Java and Linux Operating system. Basic command knowledge of UNIX and SQL Scripting can be beneficial to better understand the Big data concepts in Hadoop applications. 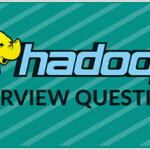 "11 Responses on Hadoop Tutorial – Learn Hadoop from Experts"
In hadoop where does the data get stored ? Hadoop is a highly scalable analytics platform for processing large volumes of structured and unstructured data. By large scale, we mean multiple petabytes of data spread across hundreds or thousands of physical storage servers or nodes. Thanks for sharing the proper explanation with this tutorial. It’s useful to learn basic fundamentals of Hadoop. With this Hadoop tutorial, I got to know the enough knowledge on Hadoop. Thanks a lot. Great tutorial. This is covering Hadoop & its Ecosystem, Map Reduce,HDFS,Yarn,Pig,Hive with the examples. Thanks a lot. Very nice informative Hadoop tutorial.Thanks for sharing such a great content to my vision. this very helpful to know about basic hadoop concepts. and i found its really helpful to my institute students. keep sharing more. Sign Up or Login to view the Free Hadoop Tutorial – Learn Hadoop from Experts.